Florence is one of Italy’s top locations for romantic weddings. This beautiful city located in Tuscany offers the most fascinating and breathtaking open-air exhibition of art and culture. Celebrate your special day in one of our marvellous venues in Florence: charming antique churches, elegant villas, magnificent castles on the hills surrounding the city. Enjoying the wonderful view Florence can offer in extraordinary historical buildings. Choose this unique location for an incredibly beautiful wedding, surrounded by charming wonders : the famous sculpture of David by Michelangelo, the romantic Old Bridge, Giotto’s bell tower, the Duomo or Boboli Gardens just to name some of its unbelievable treasures! Civil ceremonies are celebrated in Florence town hall, a wonderful medieval building in the famous square of Piazza della Signoria, This impressive palace that dominates the historical centre of the town and was the residence of the Medici family. It contains uncountable pearls of art: fountains, frescoes, sculptures, paintings of the most important Italian artists. 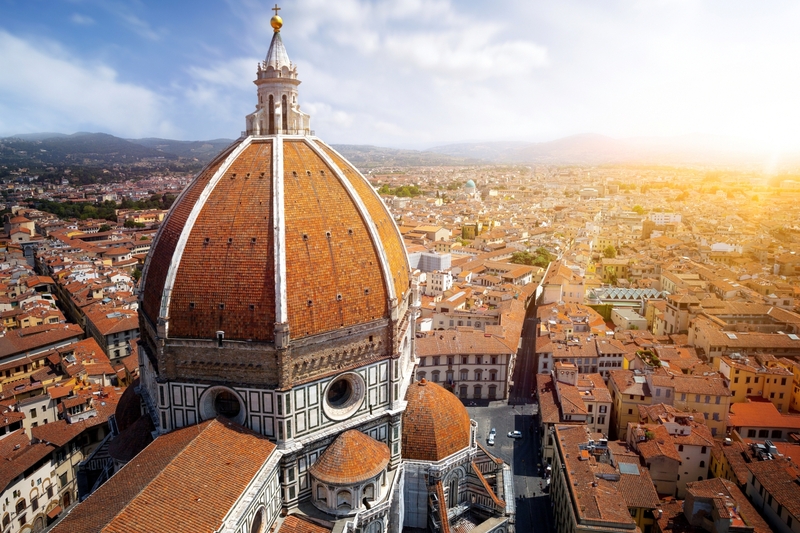 Florence is an artistically rich town and has many wonderful and important Catholic churches. Catholic weddings can be legally binding if required. It is also possible to organize a beautiful religious blessing for special anniversaries or renewal of vows in some of the amazing churches the city has to offer, from beautiful basilicas to intimate ancient churches. Protestant weddings have very few restrictions in Italy. It is possible to celebrate the wedding in a charming Protestant church. The city also has wonderful botanical gardens and many historical villas to choose from. All the hills surrounding the city offer also magnificent castles from which you can enjoy an outstanding view of the town. Choose one of the many other venues available in Florence. Protestant weddings in Italy can be legally binding, if desired. All those who do not require a legal wedding can perform a simple religious ceremony. This city offers one of the most important synagogues in Europe. This beautiful Synagogue is richly decorated in white and pink stone and surrounded by an exotic garden. The interior presents marvelous blue and red arabesques. The Jewish community in Italy is Orthodox but it is possible for people of any minhag to celebrate their wedding. Other venues such as beautiful villas, castles, gardens and hotels are also available. Jewish weddings can also have legal validity if required. All those who do not require a legal wedding can perform a simple religious ceremony. Symbolic ceremonies can be celebrated in many marvelous locations in this wonderful town. It is possible to organize a theme wedding in a medieval castle, or a luxury celebration in a prestigious villa or an historical palace. There are so many romantic venues to offer to make your wedding the most important day of your life. 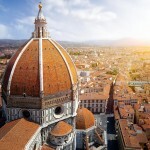 Florence offers a wide range of gourmet restaurants and top class hotels, villas, castles and open air locations. Choose from our wide selection of reception venues.